As 2017 came to a close, the market for public cloud services, including Infrastructure-as-a-Service (IaaS), Platform-as-a-Service (PaaS) and Software-as-a-Service (SaaS), continues to grow, with the biggest of the big players – Amazon Web Services (AWS) and Microsoft Azure – leading the charge. According to Enterprise Cloud News (Banking Technology‘s sister publication), by the end of Q3 2017, total IaaS and PaaS revenues had soared past $35 billion, representing about 54% year-over-year growth. These figures were provided in a new report from financial analyst firm Jefferies. SaaS is considered its own category and it totaled $35.5 billion in revenues during the third quarter or 43% year-over-year growth. The Jefferies numbers also confirm what has previously been reported: AWS controls the vast majority of the public cloud market – specifically IaaS and PaaS – with Microsoft Azure in second place. The most important factor driving the public market, according to Jefferies, is “disruption of both existing software and hardware infrastructure providers” as well as the “increase in spending on infrastructure and application development platforms delivered via a shared services model via external vendors”. While the Jefferies’ outlook does not break any new ground in terms of who the top players are, these numbers do reinforce other reports about the size and scope of the cloud market, and that it continues to grow while being dominated by a group of about seven main suppliers. The Jefferies report finds that AWS generated about $18.3 billion in revenue from IaaS and PaaS services for the quarter – a 42% year-over-year growth – that ended on 30 September 2017, and that it controls an astonishing 44% of the global market. Azure, by contrast, collected $6.2 billion in revenues – 89% growth – and represents about 15% of the IaaS and PaaS market. Jefferies also confirmed that Google Cloud Platform is the fastest growing, with revenues of about $2.1 billion during the quarter, with equals out to a 125% year-over-year growth rate. However, the company only represents about 5% of the worldwide market. The other company that is growing is Alibaba Group Cloud, with a 92% year-over-year growth rate and quarterly revenues of $1.8 billion. It now represents the 4% of the global IaaS and PaaS market, and these numbers reflect other reports about how fast the company is growing. The one outlier in the report is IBM, which Jefferies ranks third behind AWS and Azure and actually ahead of Google in fourth. The analysis calculates that IBM Cloud had $4 billion in revenue during the quarter – a 22% increase – and owns about 10% of the global market. However, the Jefferies analysts note that much of Big Blue’s revenue comes primarily from private cloud. 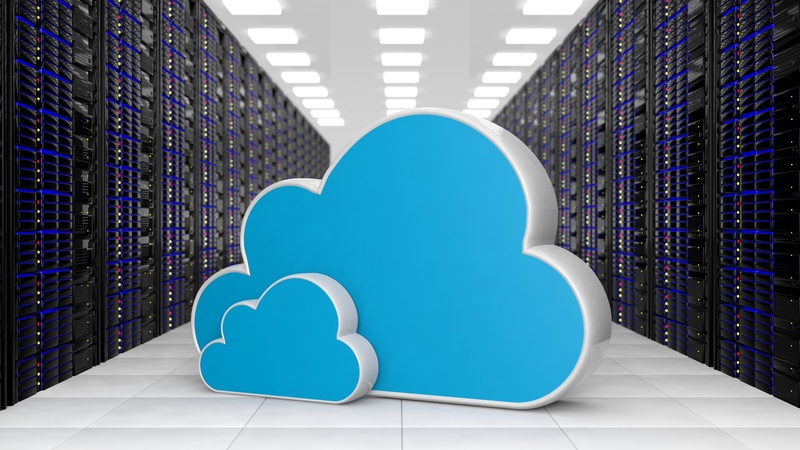 “IBM’s IaaS/PaaS revenue primarily reflects hosted and managed private cloud and managed cloud services, with only a small percentage attributable to public cloud,” according to the report. Rounding out the top seven are Salesforce, which primarily offers PaaS and SaaS services. The company has revenue of $1.8 billion and grew 44% year-over-year. Oracle is the other big player, with IaaS and PaaS revenue of $1.6 billion – 20% year-over-year increase – and the company oversees about 4% of the market. EXCLUSIVE. It is understood new tech will replace CSoft's VCSBank. EXCLUSIVE. It is understood new tech will replace Finastra's Fusionbanking.